If you are over 20 years old, anti-aging skincare appears like a foreign concept. After all, you are still fighting outbreaks and experimenting with products for a healthy skin care routine. However, under your skin surface, the aging process may have already begun for many of us. This is because at about 25, the rate at which the supportive matrix of your skin regenerates slows. This means that the level and quality of collagen and elastin are already decreasing in the 20's. As we age, it is inevitable that the rate of renewal of our skin slows down. And if you do not rest sufficiently and do not conscientiously handle your skincare routine, it means that dead skin cells accumulate on the skin surface and in the pores, resulting in clogged pores, an irregular skin texture, rough and dry skin surface dullness. To keep your skin in top condition, try peeling once or twice a week, depending on how greasy your skin is. It not only helps with outbreaks and large pores, it can also improve skin texture and luminosity. We like Pixi Glow Tonic To-Go Scrub Toner Pads, $ 28 for 60 pieces. It is immersed in a solution that contains glycolic acid, which dissolves dead skin cells from the skin surface and sweeps them away to reveal a softer, smoother, and brighter skin. Aloe vera is also used to soothe and hydrate the skin. If you prefer body scrubs, try Clé de Peau Beauté Cleansing Clay Scrub, $ 89 for 70ml. Instead of irregular granules that may be too hard on the skin, ultrafine botanical granules are used to gently polish and lift dead skin cells. Mineral earth also removes impurities, while a range of skin-care ingredients soften and lighten the complexion at the same time. If you want your skin to be healthy, first make sure the skin is sufficiently hydrated. If your skin is sufficiently hydrated it will remain smooth and rounded. This means that fine lines and wrinkles do not deepen. In addition, it also keeps your sebaceous glands in check so they do not overdrive and produce excessive sebum. Choose a moisturizing serum like PCA Skin Hydrating Serum, about $ 80 for 29 ml. The serum contains ingredients of the skin's natural moisture factor (NMF), moisturizers, antioxidants, and sedatives. Not only does it moisturize the skin immediately, it also improves the skin's ability to store moisture for a healthier, more resilient skin. If you have spent a whole day in an urban environment like ours, it is inevitable that your skin is covered with a layer of sebum, dirt, pollutants, dead skin cells and sweat. Consider the make-up layer that you applied in the morning, and you have a great breeding ground for bacteria. And while it may be tempting to just hit the sack at the end of a long day, the price you can afford is more than just waking up the next morning and finding a few zits. The truth is, going to bed with your make-up prevents your skin from regenerating. This is due to the fact that your skin is porous and receptive to skin-care ingredients during sleep. So when she gets smothered by a layer of make-up, dirt, grime, and other unpleasant things, she can not fix and renew herself. And even if you do not wear make-up, the accumulation of pores can accumulate and clog, not to mention the sealing of your skin surface, so that skin care products are not absorbed. To make the most of your skincare routine, it is important to gently and thoroughly remove all traces of make-up, dirt, sebum, sweat, dirt and dead skin cells from your skin surface. Choose a mild cleanser that does it all without removing the skin from the barrier. Shu Uemura Porefinist2 Sakura Refreshing Cleansing Oil, $ 115 for 450ml, not only dissolves the most stubborn make-up, but also contains herbal extracts that help regulate the sebaceous glands and refine the skin texture. It also rinses thoroughly without greasy residue and makes the skin refreshed. Subsequently, Dr. Jart + Dermaclear Micro pH Foam Facial Cleanser ($ 29) for 120 ml, which uses natural surfactants to remove impurities from the depths of the pores. In addition, the pH of the water is balanced so that it is gentle and suitable for all skin types. If you are consistent with sunscreen, you probably will not see the positive results within months. However, signs of photo damage are gradual and accumulative. This means that even a few years later you will not be able to see any visible signs of damage to the photo. 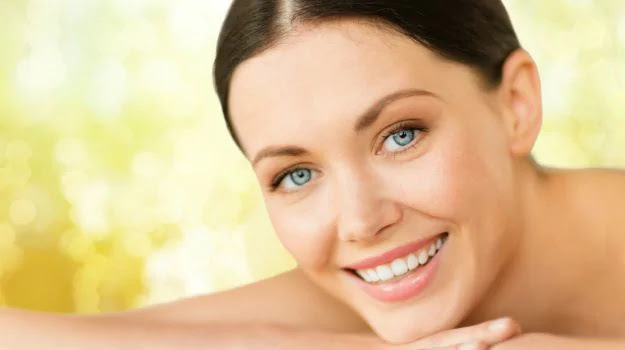 So instead of spending a lot of money on lasers to stimulate collagen synthesis and eliminate age spots, you should not start early and delay using them with the daily use of sunscreen. In addition, sunscreen is a must not only on hot and sunny days, as it is estimated that 80 percent of UV rays still penetrate the clouds and reach us even on cloudy or rainy days. We like Vichy UV Protect Skin Defense Daily Care Anti-Shine Cream, $ 36 for 75 ml, because it provides long-lasting SPF 50 broadband protection without leaving greasy residue or a white imprint. In addition, it contains antioxidants and anti-shine ingredients for a balanced, dull complexion.